How can I tell if my product is ENERGY STAR® Certified? Fill in the drop down menus to find the NFRC ratings and ENERGY STAR qualifications of a certain door or window. Or if you have an Order Number, you can use that to lookup the values. ENERGY STAR and the EPA are committed to improving manufacturer's products to ensure energy efficient products are being produced. ProVia is committed to helping you find energy-efficient doors and windows that meet ENERGY STAR requirements. U-Factor measures the insulating value. The LOWER the U-Factor, the better it insulates. 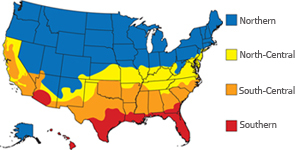 Refer to the thermal calculator for what U-factor is certified for your area. 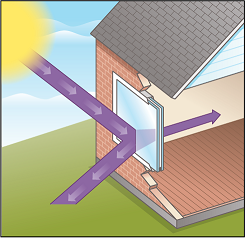 SHGC represents the amount of heat from the sun that passes through the glass. SHGC is noticeable by feeling the warm carpet where the sun is shining through a door or window. Refer to the thermal calculator for what SHGC is certified for your area. Visible Transmittance represents the amount of daylight (or visible light) that passes through the glass. 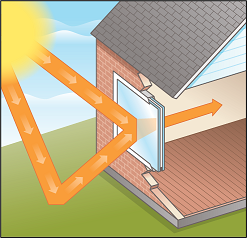 A high number allows more light to pass through the glass than a low number. Most homeowners prefer as much visible light as possible. The lower the number, the darker the interior. 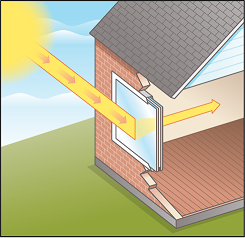 Air Leakage measures how much outside air comes into a home or building through a door or window. Air leakage rates typically fall into a range between 0.1 and 0.5. 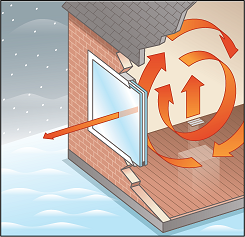 The lower the air leakage, the better the product is at keeping out air. The ENERGY STAR certified logo means you are buying a product that meets or exceeds the ENERGY STAR requirements in saving energy by promoting energy-efficient products to reduce greenhouse gas emissions. Learn more about ProVia's custom entry doors and replacement windows.